← A Modern-Day Good Samaritan? Please take a few minutes to read this. It has a universal theme for all of us, not just a mother of a child with disabilities. . . . you maybe able to pass it along to encourage someone else. . . please do! I first read this when I was in graduate school and realized it was a wonderful metaphor for the challenges in life. Most of us will never have a child with disabilities, but all of us will have a broken relationship, a debilitating illness, the loss of a dream, or a terrible accident. There are so many more possibilities that could be added to this list. Today I felt I should share this story for someone, I have no idea who or even if that person will read this post. And for those who have not experienced such devastating loss. . .be patient and kind and gentle with your family and friends who have or are just beginning that journey. I have observed that all of us at one time or another in this time on earth will go through a loss. 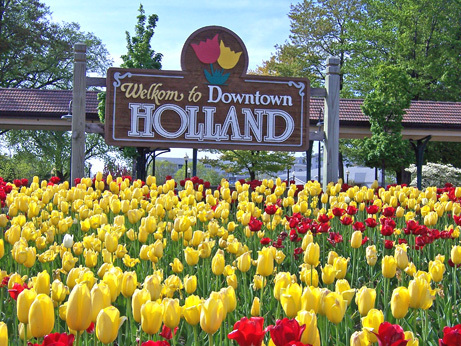 I hope this wonderful mama’s story of a lost dream will touch and inspire someone today to take a deep breath, adjust your dream, press on, and explore Holland! Blessings. . . . . . This entry was posted in Travel, Uncategorized and tagged disabilities, dream, encouragement, Holland, inspiration, Italy, life, place, sense of place, travel. Bookmark the permalink. 7 Responses to Another Trip. . . . Another Destination. . . . . Thank you for the reminder. Such a touching analogy. I have seen that story, years ago, but this is a very apt reminder. As are your comments and gentle reminder to be patient, too, with those experiencing this kind of loss. I often hear much criticism around parenting regarding a disabled child. They’re often under a scrutiny and even suspicion by organizations, workers, etc. that are set up for (or not so set up) to help work with children that have issues of some sort, and even the “experts” don’t really understand. They constantly face harsh judgement by strangers and ignorant folk who assume the parents are somehow at fault, and friends and family can learn to step in, educate themselves, and be a support…if they only think to do so. Thank you for your thoughtful and thorough comment , so sensitive to this situation. It sounds as if you have first hand experience with this situation. Blessings! Knowing the history of “Trainspotting” and the video. . . what an absolutely perfect musical connection.